French 101 is an online course for beginners available free of charge. 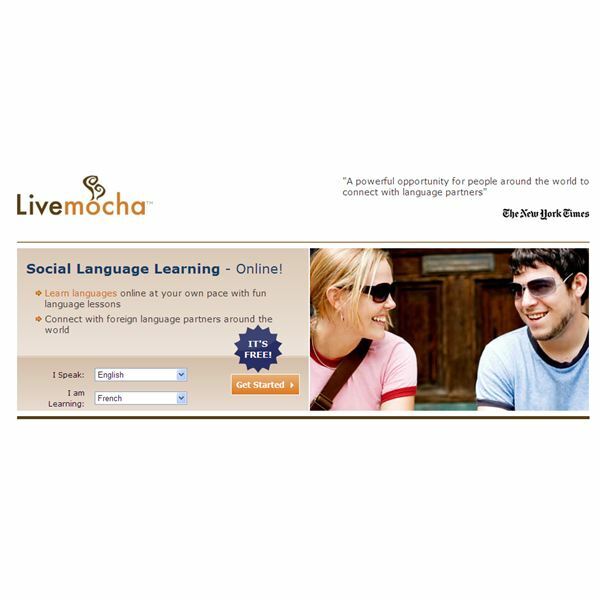 In order to access the French 101 program as well as other great resources available for French language learning at LiveMocha, you must set up a LiveMocha account. To do that, go to the LiveMocha hompage and create and account. When you sign up, be sure to select "French" as the language you wish to learn. Then, voilà, you are ready to begin studying French with the help of French 101! How is each lesson of French 101 structured? 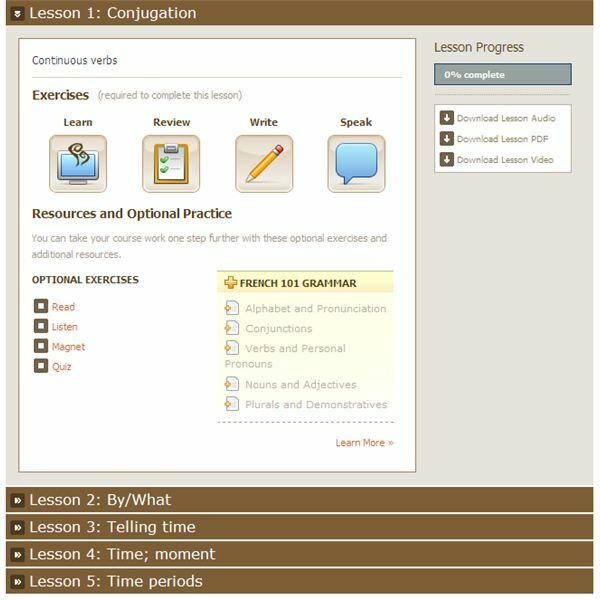 The webpage layout is simple with the components listed on the left sidebar, the content you’re learning in the center of the page, and the progress chart running along the top that shows what percentage of the lesson you’ve completed. Each lesson has four required components that you must complete: Learn, Review, Write, and Speak. LEARN – This portion of the lesson involves a lot of pictures, which you flip through like virtual flashcards. Each photograph is accompanied by written and spoken words in French so you can learn words, phrases, and sentences. REVIEW – In this portion, you go over the materials you learned to reinforce your learning. For each photo flashcard, written example, or spoken language provided, you must choose which answer is correct. You will get immediate feedback as to whether or not your answer is right. WRITE – Here you are asked to produce your own writing that has to do with what you’ve learned in the lesson. For example, in lesson two, you’ll be asked to describe six different people using both positive and negative statements. Then, you get to submit your writing assignment for review and comments made by native speakers who are also members of LiveMocha. This native speaker feedback will be very helpful for your language learning. SPEAK – In this portion of the lesson, you get the chance to record yourself reading a written paragraph in French. Then, you can submit this exercise for review and comment by native French speakers who are fellow LiveMocha members; their feedback is invaluable as you learn how to pronounce French well. In addition to these four required exercises, there are four more components you can complete for extra practice: Read, Listen, Magnet, and Quiz. The structure of each lesson of French 101 is well-rounded, helping you learn not only how to understand spoken and written French, but also to produce it (through writing and speaking) yourself. French 101 is only the first of several interactive French programs that you can find at LiveMocha. The French vocabulary and structures you learn through this online software will set you well on your way to conversing in French. Make sure to supplement what you learn in the course by networking with French-speaking friends who you can freely contact through the LiveMocha website. Getting native speaker feedback is a wonderful way to supplement your book and software language learning and help you learn to truly speak French well!